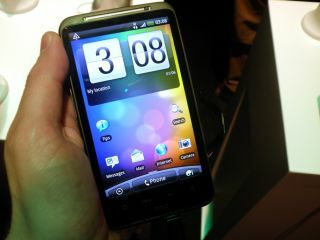 The HTC Desire HD has finally been announced, and TechRadar was on hand to grab and handset to thoroughly photograph for your delectation. It's essentially the HTC HD2 and the HTC Evo rolled into one, with the large screen, next gen Android (2.2) and upgraded Sense UI making it a very attractive proposition indeed. HTC is putting a lot of marketing spend behind the HTC Desire HD, so expect to see it thrust into your eyeballs on a regular basis.